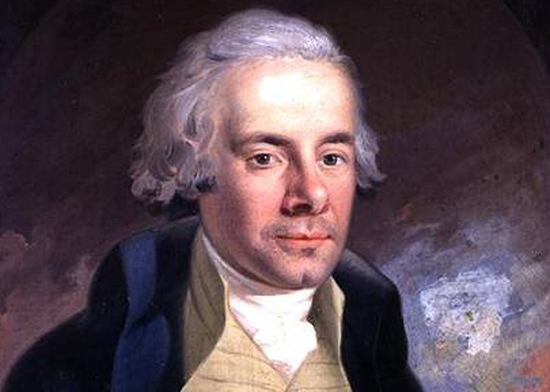 The faith-political approach of British politician William Wilberforce –- who fought the British slave trade in the early 1800s -– might have a 21st century counterpart in Langley MP Mark Warawa. O’Neil saved the good stuff for the last few paragraphs. There he reports on some comments from Tim McCarthy, one of Warawa’s pastors at North Langley Community Church, where the MP and his wife, Diane, attend. “I think he’s taking a very courageous stand,” McCarthy said, comparing Warawa’s position to that of English politician William Wilberforce, an evangelical Christian who battled slavery in the early 1800s. While he has his doubts the anti-abortion movement is close to a breakthrough in Canada, which has been without a law on abortion since a 1988 Supreme Court of Canada ruling, he said Warawa’s battle is worth fighting. “Even if nothing were to change, my perspective is that we’re not only accountable to history or even to constituents. We’re accountable to God and to doing the right thing. Warawa’s recent actions have zeroed in specifically on gender-selection abortion, practiced in some cultures because of the inclination of parents to favour male progeny. He was asked to stand down on giving a member’s statement on the subject in the House of Commons. As well, his Motion 408 on the same subject was ruled ‘non-votable’ by the House parliamentary procedure committee. Much media coverage has attempted to create a rift between the prime minister’s office on one hand and Warawa and other social conservatives on the other. That contention is based on Prime Minister Stephen Harper’s promise, in the 2011 election, not to allow the abortion debate to be returned to the public arena. From this ‘perch,’ O’Neil’s Wilberforce reference is a fairer assessment, because it tends to play down a governing party’s internecine struggle. I agree that Warawa is in this for the long run. So he must keep a balance between the need to speak his conscience and his constituents’ wishes on one hand, and the need to understand that debate on the subject can be shrill at the best of times and ferocious at the worst. It is instructive to note that Harper does not try to ban discussion on abortion. Rather, he tries to keep in check the kind of debate that would turn the House into more of a bear pit than it already is. In fact, late last week, a joint PMO-Conservative caucus statement announced that a sub-committee would be formed to keep the peace while giving members the free reign they need. The difference between discussion and debate is essential to understanding what is happening here. The other two items for this week’s OttawaWatch involve St. Paul University, a Catholic institution a few blocks from Parliament Hill, on the banks of the Rideau River. Speaking mainly to Catholics in the crowd, Bibby noted that Catholics and evangelicals are benefiting from immigration trends in Canada, while mainstream Protestants are not. Much of the material in the lecture is contained in A New Day: The Resilience & Restructuring of Religion in Canada, a slim volume that he says is more optimistic – and realistic – than some of his earlier studies (https://canadianchristianity.com/canadian-religion-is-not-going-away-4064/). Readers wanting to get a complimentary e-copy can go to www.projectcanadabooks.com. Two evenings later, I returned to St. Paul with Edna, to attend the 25th anniversary gala of the Canadian Institute for Conflict Resolution (), a group that specializes, among other things, in short term courses and workshops in Third Party Neutral (TPN) and Alternate Dispute Resolution (ADR). CICR was founded by St. Paul, with a fair amount of initiative from Vern Neufeld Redekop, a Mennonite who heads the university’s conflict studies program. The CICR director for the past several years is Brian Strom, a Nazarene by persuasion and a western-rooted son of a former Alberta premier, the late Harry Strom. There was a method in my selection process for today’s piece. There is much going on in Christian circles these days – especially among Catholics, Mennonites and evangelicals -– that relates to getting serious about conflict study, management and resolution. And it is mostly quite biblical, as well as being sociologically and psychologically healthy. Stay tuned. You may find in the next few weeks that your humble scribe will offer some interesting prescriptions for parliamentary and societal reform in Canada, based on faith-based conflict resolution concepts. And maybe some comments on how the late Margaret Thatcher fits into all this.